Team White Dragon got the year started off with a BOOM! BANG! 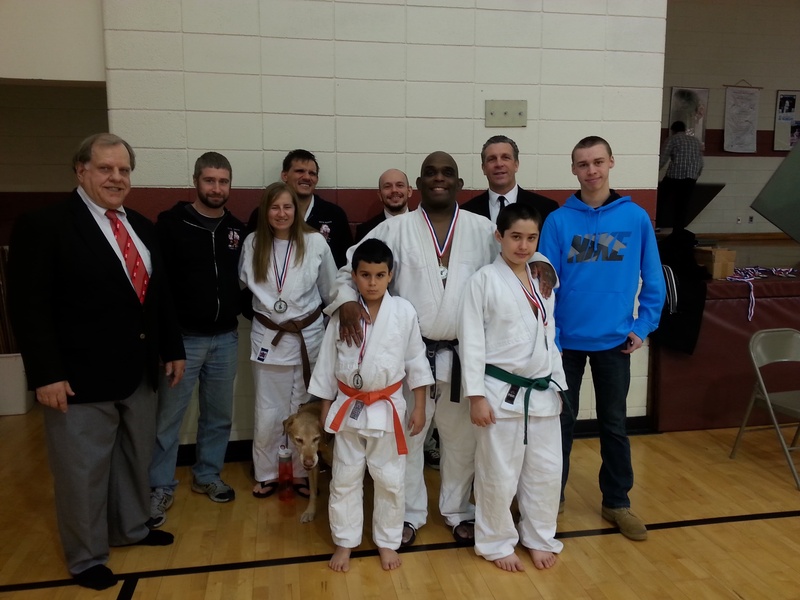 On January 10, 2015, the judo team was at the Hollis Park Recreation Center in Mapleton, Illinois for the 2015 Hollis Park Judo Invitational. Derick Wellman, Randy Pierce and Jay Baker assisted in the officiating of this event. Eugene Hamilton grabbed the coaches chair and brought in a squad ready to start the year off right. In the junior category, Issac Valdez De Soto returned to the mat after Christmas break and showed no signs of mat rust. The young lion highlighted his division with an awesome koshi guruma in his second match. He finished the day with a silver medal. Devin Busch also placed second in a highly talented division. The seniors divisions were led by White Dragon Judo’s superstar judokas Marissa Ardnt and Adnan Gutic. Ardnt dominated her division on her way to a 1st place finish. Adnan Gutic had his work cut out for him as he faced a division stacked with skilled judo players. Gutic showed the heart of a champion fighting his way to the final and taking the silver medal. 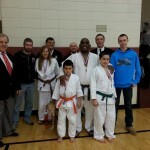 Demonn Smith rounded out the team with two gold medals in the senior and masters categories. No doubt about it, Team White Dragon looks to have a solid 2015 year. White Dragon Judo Club ended the year on a good note by having an open workout with international judo competitor Amber Jones on December 30,2014. Accompanied by Tyler King, Amber Jones demonstrated some practical shiai competition technique that would improve anyone’s judo. Amber Jones is one of the most decorated female judokas in the state of Missouri. Jones has competed in over 10 international competition, most notably earning a silver medal in the 2012 Grand Masters World Championships. 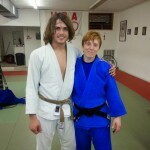 The two time US National medalist started judo in December 2000 at the University of Kansas under sensei Josh Lester. 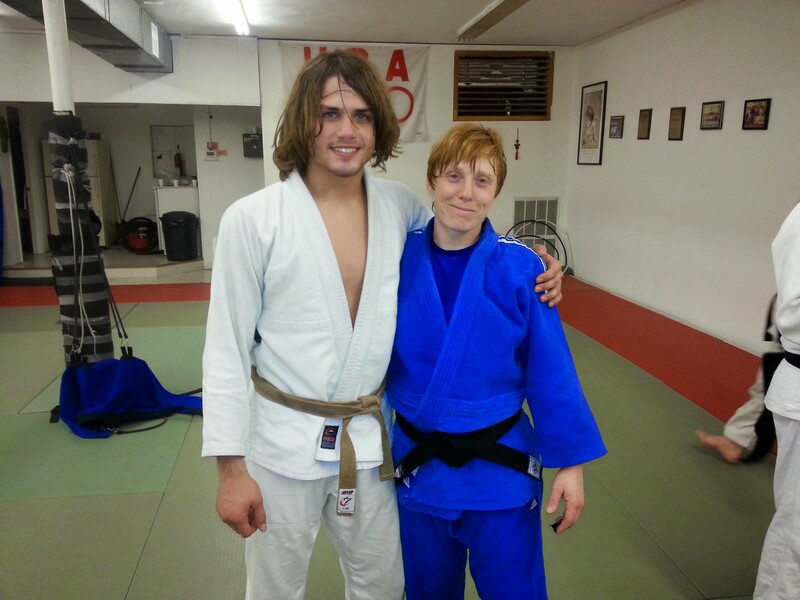 An Army reservist, Amber is the head instructor for the Missouri Rolla Judo Club. The nidan is currently ranked 7th in seniors and is the number 1 masters judoka in her weight category. The open workout was a splendid mix of judo instruction, conditioning and randori. 2014 for Team White Dragon has been a prosperous one. The members of White Dragon Judo Club would like to wish you a Happy and safe 2015. 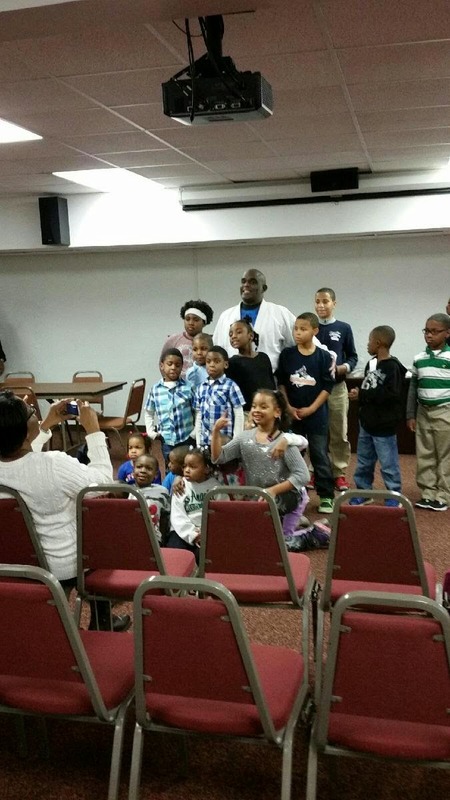 White Dragon Judo Club conducted a self defence demonstration with the Mighty Kids Ministry of Peoples Community Christian Church on December 15, 2014. The demonstration was a part of the activities at the Mighty Kids Ministry Christmas Party. Sempai Demonn Smith showed some practical judo techniques to the inquisitive youngsters. 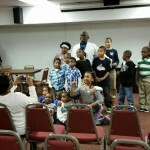 Sempai Smith encouraged the children’s participation and the kid’s did not hesitate to get involved. The demonstration also peaked the interest of a number of parents in attendance. After the demonstration, Sempai Smith answered various questions from the parents and the youth group. Sempai Smith stressed that the techniques shown are simple and with practice could save a person’s life one day. If you would like to know more about judo and self defense classes at White Dragon Judo Club, feel free to checkout our website and Facebook pages. We look forward to hearing from you and we will see you on the mat.